Skeets Thomas made AAA for the first time in 1993 and he held out hopes for a promotion to the bigs, according to The Louisville Courier-Journal. Until that happened, his manager at Louisville, Jack Krol, was just happy to have him, according to The Courier-Journal. "Skeets Thomas can play for me anyplace I manage," Krol told The Courier-Journal. "He can hit, and he plays a better outfield than I had heard. I'm very happy with him." Thomas found a home that year at AAA, but he ultimately never made the majors. He played three full seasons a step away from the bigs, but never took that final step. 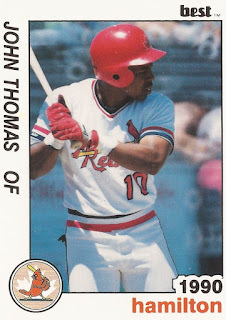 Thomas' career began in 1990, taken by the Cardinals in the 25th round of the draft out of the University of South Carolina. He is sometimes credited by his given name, John Thomas. At South Carolina, Thomas played both baseball and football. On the baseball field, he picked up 230 career hits, still eighth place in school history in 2006. 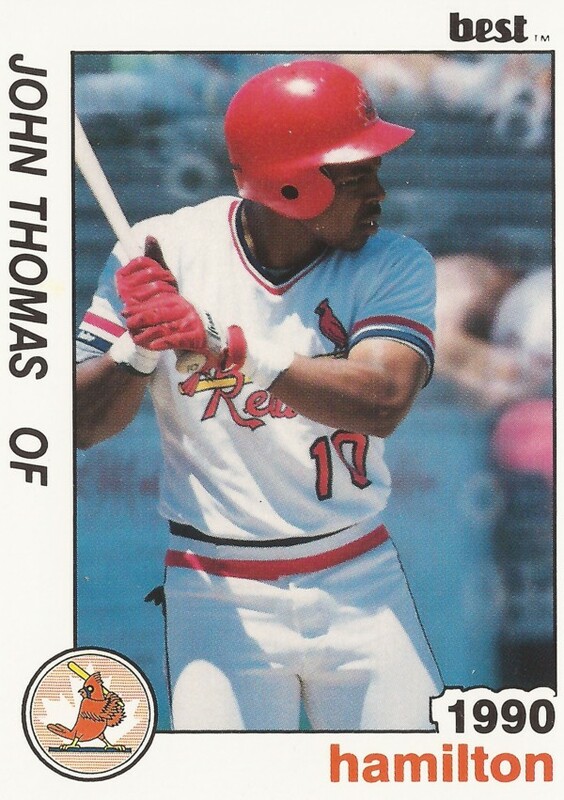 Thomas started with the Cardinals in 1990 at short-season Hamilton and single-A Springfield. He hit .259 over 72 games. He made high-A St. Petersburg for 1991, upping his average to .298. He knocked in 48. Thomas then made AA Arkansas for 1992, hitting .272 there, with 10 home runs. Thomas moved up to Louisville in 1993. He hit .276 over 108 games. He hit a career high 17 home runs in 1994, with a .240 average. His final season came in 1995, back at Louisville. He hit .249, with nine home runs to end his career.